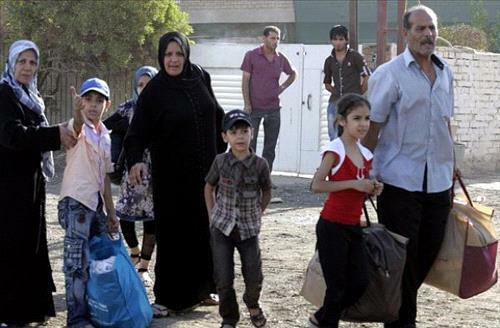 AMMONNEWS - The Jordanian government said it had authorized the United Nations (UN) to organize the passage of 800 Syrian citizens through Jordan to be resettled in western countries. The government gave the permission after Britain, Germany and Canada made a legally binding undertaking to resettle them within a specified period of time due to "a risk to their lives." The Ministry of Foreign and Expatiates Affairs spokesman, Ambassador Mohammad al-Kayed , said the request was approved for purely humanitarian reasons. These Syrian citizens who were working in the civil defense, had fled the areas controlled by the Syrian opposition after the Syrian army's attack in those areas. Al-Kayed added that these Syrian citizens will remain within a restricted area during their passaging through Jordan, to which the three western countries have committed themselves, with a ceiling of three months. He pointed out that Jordan, which hosts 1.3 million Syrians, hasn't and won't hesitate to perform its humanitarian duty despite the great burdens placed on the Kingdom. He noted that organizing the passage of Syrian citizens is administered by the UN, without any obligations on Jordan.